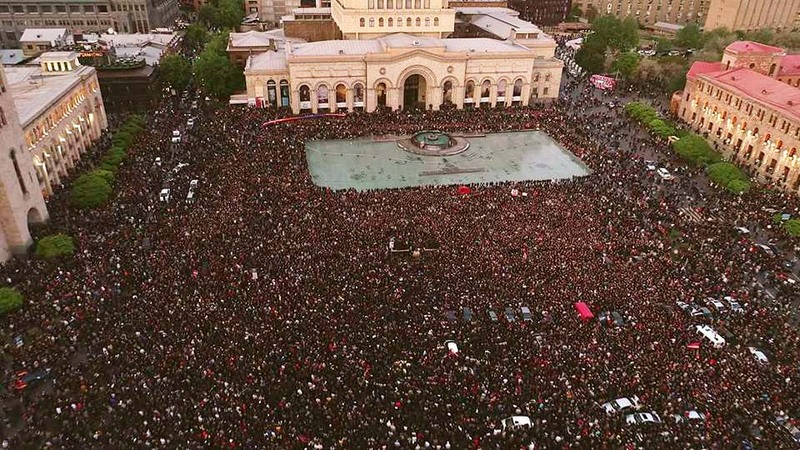 May 2, 2018 — Links International Journal of Socialist Renewal reposted from LeftEast — A mass movement in Armenia pushed out the Prime Minister and former president Serj Sargsyan. Even if liberal currents are trying to channel the movement and gain electoral support, this event could also be a positive move for the oppressed youth and the working class in the country. We interviewed Hovhannes Gevorkian, an Armenian student of Law in Berlin and member of the Revolutionären Internationalistischen Organisation (RIO) of Germany. The interview was conducted by Philippe Alcoy (PA). Armenia: What has sparked #ElectricYerevan? June 24, 2015 -- New Cold War, first published in Russian on politcom.ru, and translated and published in English on Open Democracy; posted at Links international Journal of Socialist Renewal -- Fresh protests in Yerevan have their roots in a number of deep-rooted domestic issues in Armenian politics. But we make comparisons to other protest movements at our peril. On June 23, some 6000 people marched towards President Serzh Sargsyan’s residence in Yerevan. Water cannons against protesters have been used against participants in what has already been dubbed #ElectricYerevan, in reference to the cause of the protests: rising energy prices. The initial mass protest against hikes in electricity tariffs, and the authorities’ reaction against them, have had a noticeable effect on the country’s political situation. According to the Armenian police, 237 people were arrested on June 23 and, in total, 29 people suffered injuries, including 11 police officers. But while this situation has already begun to provoke comparisons with recent events in Ukraine, these protests have a domestic trajectory which should not be ignored.